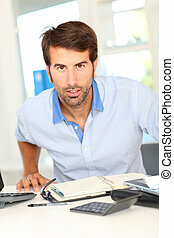 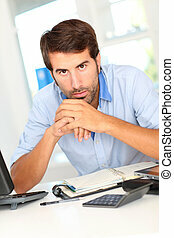 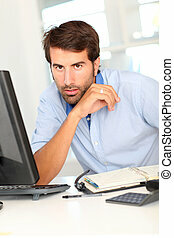 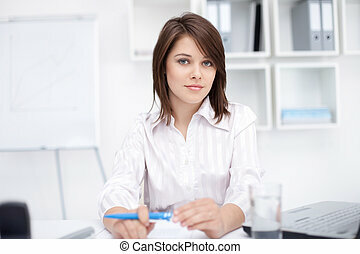 Portrait of young office worker sitting at desk. 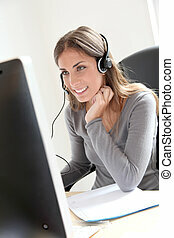 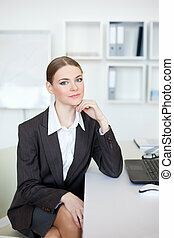 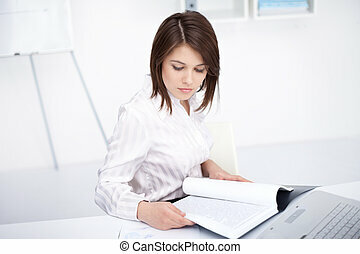 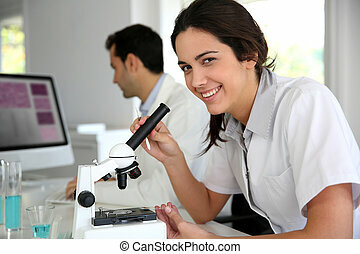 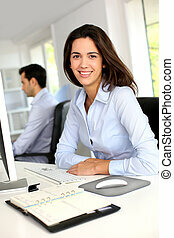 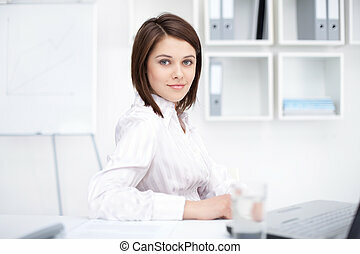 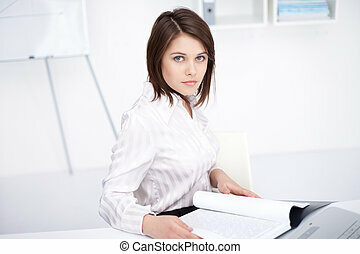 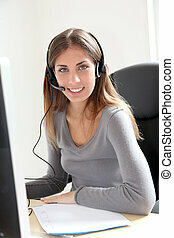 Portrait of Attractive young female office worker at desk. 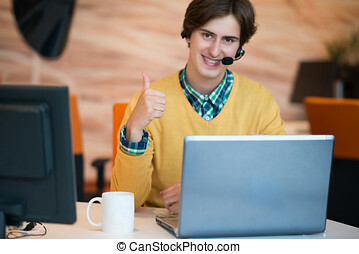 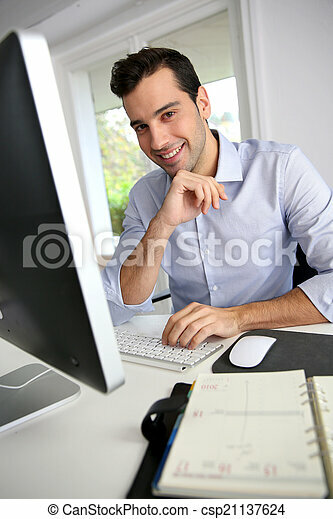 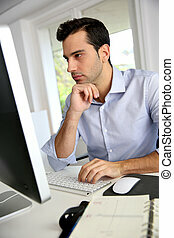 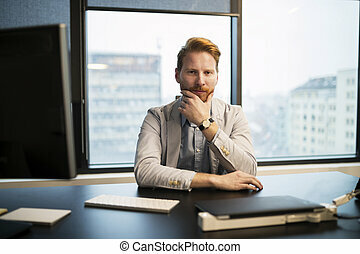 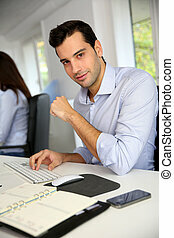 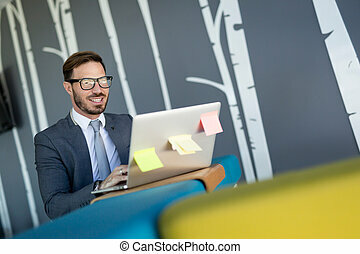 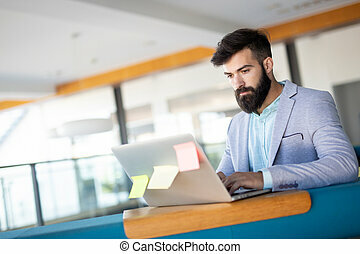 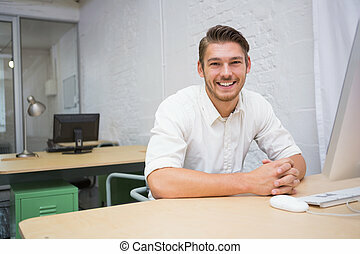 Portrait of young man sitting at his desk in the office.